Prenatal Yoga Center | Study: Yoga During Pregnancy: Effects on Maternal Comfort, Labor Pain and Birth Outcomes. Study: Yoga During Pregnancy: Effects on Maternal Comfort, Labor Pain and Birth Outcomes. I am a bit of a self- proclaimed geek! I love to examine studies and findings that are related to childbirth education and prenatal yoga. I spend countless hours reading Medscape, childbirth blogs, and Midwifery Today. A few years ago the Journal of Perinatal Education published a study from the Department of Obstetric Gynecological Nursing and Midwifery out at the of Prince of Songkla University titled “Yoga during pregnancy: effects on maternal comfort, labor pain and birth outcomes.” I have seen first hand how the tremendous benefits of yoga aided my own births, the prenatal yoga students and doula clients during their labor and delivery. You can only imagine how delighted I was to see my own experiences it substantiated and supported by science. The study followed two groups of women: one that did not practice yoga and one that attended a series of six 1-hour yoga classes every two weeks in the final trimester. In brief, the study provides evidence that regular yoga practice in the last 10 to -12 weeks of pregnancy improves maternal comfort in labor and may facilitate labor progress. The “yoga” group experienced an approximately a two-and-a-half 2 ½ hours shorter first stage of labor then the “non-yoga” control group. 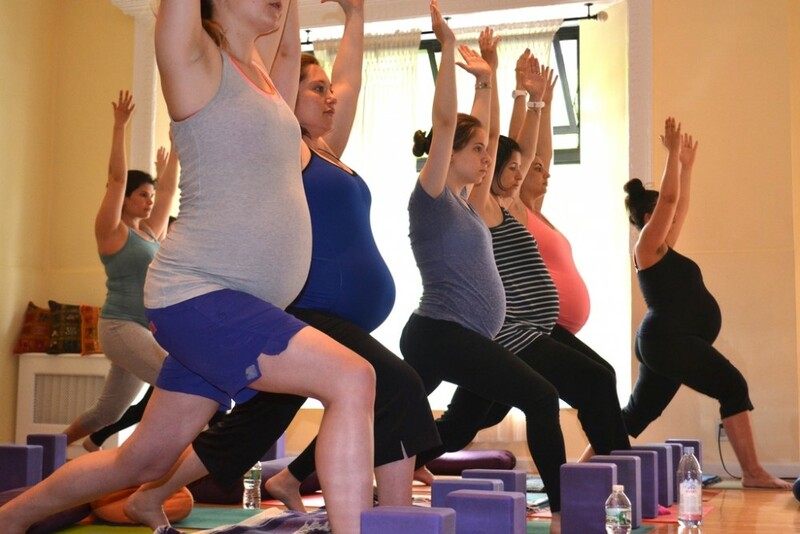 So what is it about yoga that was helping these laboring moms? The researchers have three theories. First, yoga involves synchronization of breathing awareness and muscle relaxation, which decreases tension and the perception of pain. Yoga can certainly offer the practitioner both physical and emotional challenges. From personal experience, I have often found solace by using my breath to get through certain yoga poses. By focusing on the exhalation of the breath, I was able to relax my muscles (and my mind!) and soften into the yoga pose, which allowed me to surrender to the natural tightness my body was feeling. The same idea can be applied to labor contractions. In class, the expectant mother is faced with some challenging yoga poses and is asked to use her breath as a comfort technique. When it comes time for labor, the yoga mama has already established a correlation between breathing and relaxation, and can move more easily through the sensations. When endorphins are released into the blood stream, not only does one experience a “natural high,” but discomfort is not perceived as intensely and the threshold of pain is pushed higher. A few years ago, I attended the birth of my friend Liz’s second child. She described the endorphin rush of labor as follows: “I was in such a bizarre zone of pain and power and determination and anticipation. From that point on I was on a level that I can only compare to a psychedelic drug experience. *I feel funny using that analogy, and I apologize if it’s not appropriate, but I have been searching for a way to describe how I felt, and that is truly the only thing that compares. *” Liz was literally “breathing through the pain” and was letting her body’s natural pain response take her to a new level of consciousness—- a technique often explored through the “mock contraction” exercise in prenatal yoga classes. Third, practicing yoga postures over time alters pain pathways through the parasympathetic nervous system, decreasing one’s need to actively respond to unpleasant physical sensations. From a physiological point, deep-belly breathing (which is what we do in yoga class) promotes the function of the parasympathetic nervous system. The autonomic nervous system (ANS) is divided into two parts: the sympathetic nervous system (the fight-or-flight response), and the parasympathetic nervous system (the rest-and-relax response). The body responds to the parasympathetic nervous system by slowing the heart rate and decreasing blood pressure while increasing the release of endorphins. This can be translated into: Yoga Reduces Stress! If the Mother is less stressed, the baby will be less stressed. As a side note: while the study did not explore this idea, I would like to add, that many of the yoga poses—- like all four positions (cat/cow and body circles), hip circles, and gentle hip openers—- we practice in prenatal yoga can directly be incorporated into labor and delivery. Movement during labor facilitates a quicker, less painful labor by relaxing the body and also helping the baby into an optimal fetal position. When the laboring mother is stuck sitting or lying still, not only is she going to perceive the pain more intensely, but she is not helping baby move around the pelvis to find the easiest “fit” through the pelvic outlet and birth canal. It would be irresponsible of me to rely on only this study and my own experience to proclaim and promise that just because an expectant mother steps on the yoga mat, she is guaranteed a better, quicker labor than someone that has not. However, I DO feel confident in saying that just by participating in class, the pregnant mom is arming herself with coping skills and confidence for whatever lies ahead. Here is the full study should you be interested in reading it. Summary: In this trial conducted in Thailand, nulliparous pregnant women without previous yoga experience were randomly assigned to practice prenatal yoga (n=37) or to usual care (n=37). The yoga group attended a series of six 1-hour yoga classes every two weeks in the final trimester and were given a booklet and audio tape for self-study, which they were encouraged to practice at least three times per week. Daily diaries kept by participants and weekly phone contact from researchers helped ensure compliance. Participants in both groups completed a prenatal questionnaire to assess anxiety and collect demographic data. Once in labor, pain and comfort were assessed every 2 hours in the first stage of labor (for a maximum of three measurements) and again 2 hours postpartum using multiple pain-measurement instruments that have previously been validated for use in laboring women. 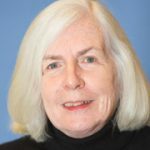 The researchers controlled for maternal age, marital status, education level, religion, income, and maternal trait anxiety. Data were available for 33 of 37 women assigned to each group but the researchers provide no explanation for this attrition. Although this omission limits the reliability of the study, the strength and consistency of the researchers’ findings suggest that attrition probably did not significantly alter results. The experimental group (yoga group) had significantly less pain and more comfort than the control group at each of the three measurement intervals during labor and at the postpartum measurement. This finding was consistent and significant across all three pain main measurement instruments used. The researchers do not present data about mode of birth. However, the length of the first stage of labor and total duration of labor were significantly shorter in the yoga group (mean length of first stage = 520 minutes in yoga group versus 660 minutes in control group; mean total time in labor 559 minutes in yoga group versus 684 minutes in control group). There were no differences in length of second stage of labor, pethidine usage or dose given, augmentation of labor, newborn weight, or Apgar scores. Epidural analgesia was not mentioned so presumably it was not available. 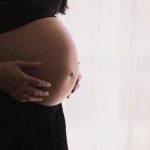 Significance for Normal Birth: This study provides evidence that regular yoga practice in the last 10-12 weeks of pregnancy improves maternal comfort in labor and may facilitate labor progress. The researchers offer several theories for these effects. First, yoga involves synchronization of breathing awareness and muscle relaxation which decrease tension and the perception of pain. Second, yoga movements, breathing, and chanting may increase circulating endorphins and serotonin, “raising the threshold of mind-body relationship to pain” (p. 112). Third, practicing yoga postures over time alters pain pathways through the parasympathetic nervous system, decreasing one’s need to actively respond to unpleasant physical sensations. interested women to incorporate yoga into their preparations for childbirth.